The cult has a new face and a new mission. It seeks to free Tiamat from the Nine Hells and bring her into the Forgotten Realms. To accomplish its goal, the cult needs five ancient dragon masks and the support of evil dragons everywhere. The cult leaders—each one a "dragon whisperer"—have reached out to the evil dragons of the Sword Coast and earned their allegiance. 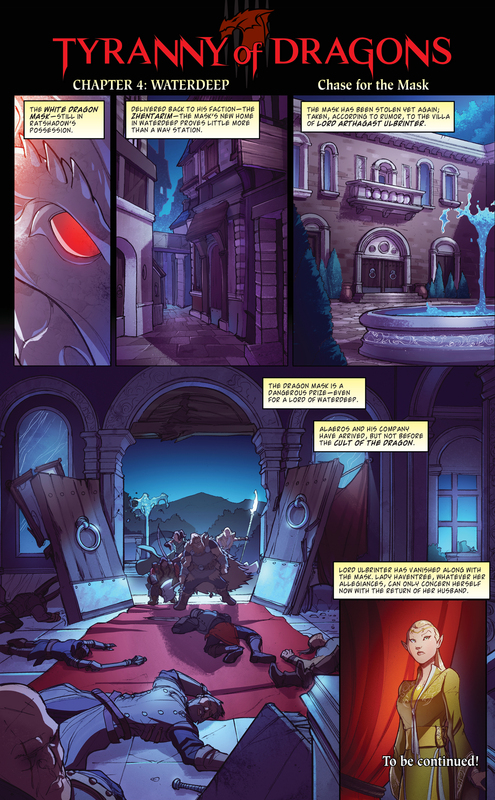 Meanwhile, evil dragons in partnership with the cult seek to amass a treasure hoard worthy of their dark queen, not by plundering their own hoards (of course) but by stealing money from cities, caravans, good-aligned dragons, merchant ships, and other sources. Their ravenous hunt for treasure throws the Sword Coast into upheaval. Neverwinter, Waterdeep, Baldur’s Gate—no city is safe from their depredations. The situation is dire. However, the Sword Coast is far from defenseless. Powerful factions are ready to rise up and put an end to the tyranny of dragons. 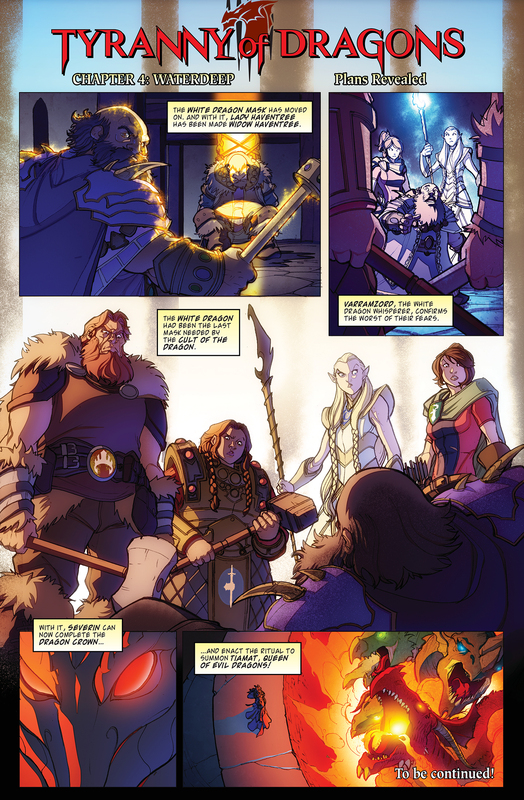 Adventurers throughout the Realms must join forces to face Tiamat, destroy the Cult of the Dragon, and prevent the rise of a new dragon empire. The Harpers have since shared their intelligence with the remaining factions. 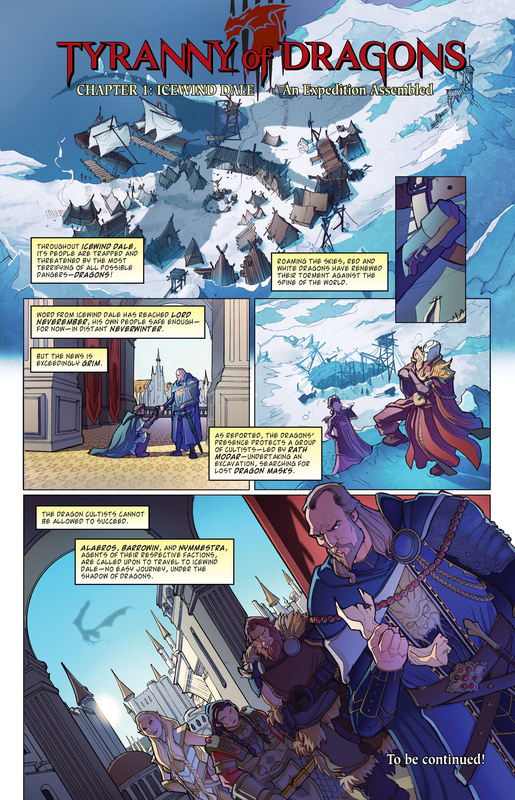 To combat the Cult of the Dragon, Lord Dagult Neverember of Neverwinter proposes that adventurers representing each of the five factions be sent north to investigate—and to report back with haste. In their hands, the future lies. 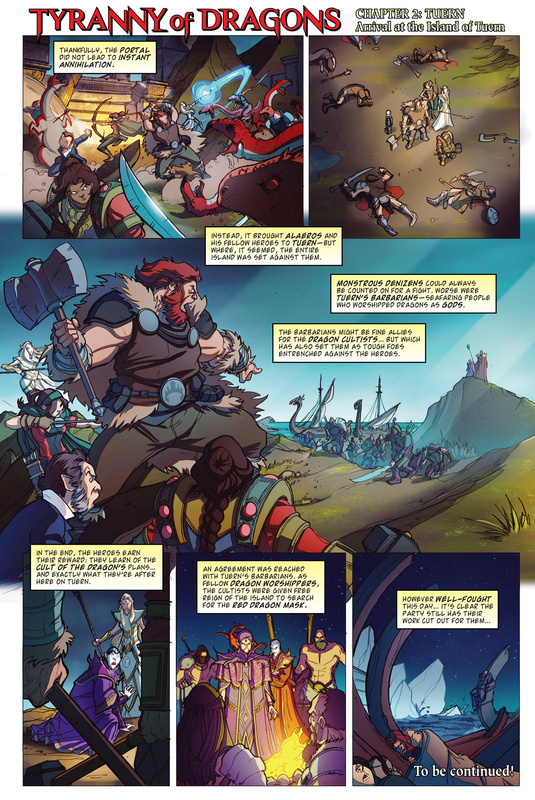 View the full-sized comic panel. 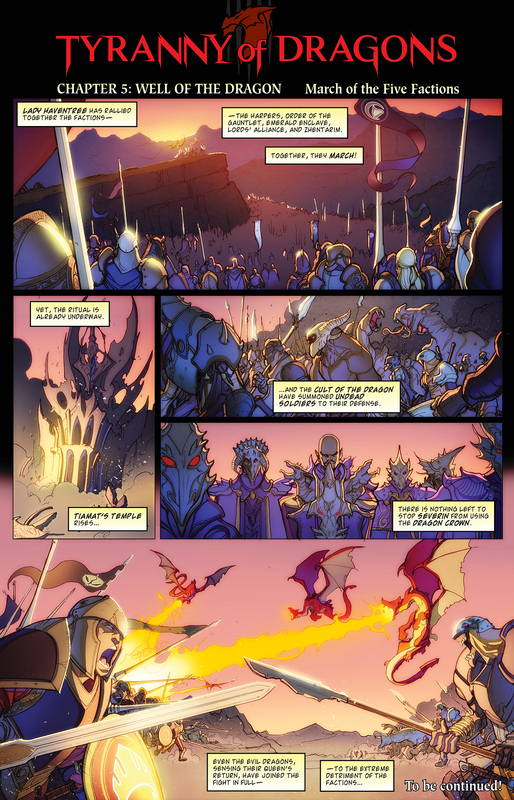 Lady Haventree has rallied the factions to march on Tiamat, Queen of Evil Dragons! 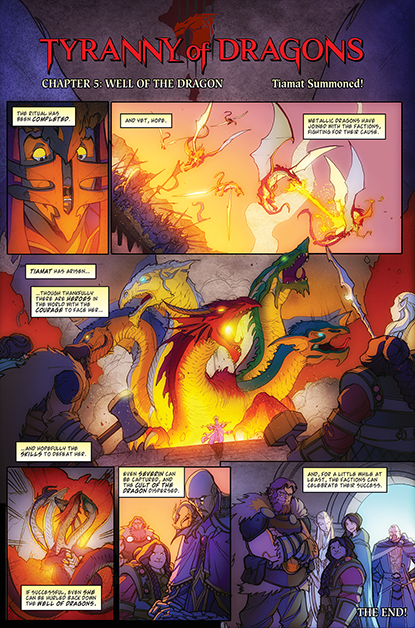 Our heroes finally learn the Cult of the Dragon's ultimate scheme: to summon Tiamat, Queen of Evil Dragons! The White Dragon Mask has been found, but changes hands... to the detriment of the final owner. Severin recruits further dragon allies into his camp... directing them toward Neverwinter! The Red Dragon Mask has been found! 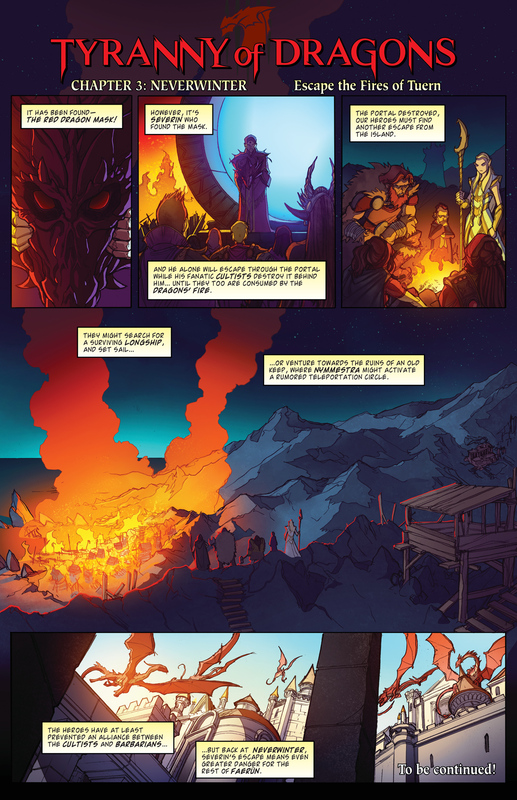 However, it's the Cult of the Dragon that's made the discovery... and then destroyed the portal off Tuern behind them. 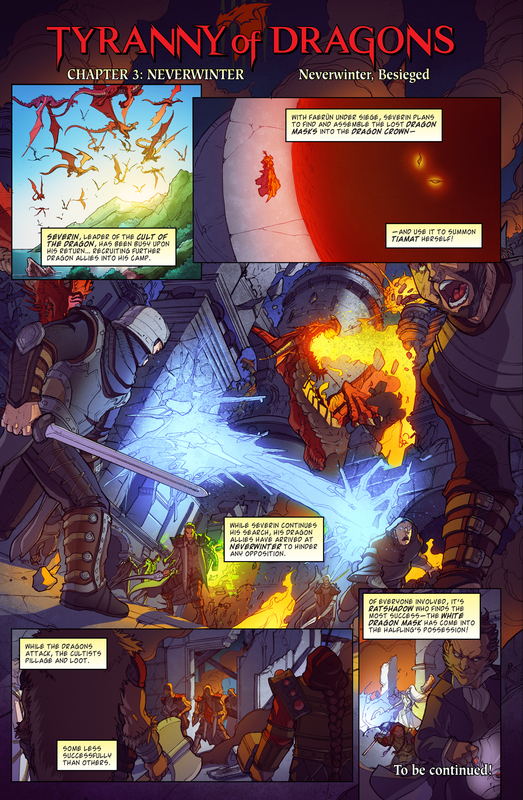 The search for the Red Dragon Mask has led our heroes to the island of Tuern’s great volcano. As they quickly discover, the volcano is not without its traps… or its guardians. The giant portal excavated in Icewind Dale has led to the volcanic, mineral-rich island of Tuern, located hundreds of miles west. The island, ruled by three red dragon siblings, is home to tribes of seafaring barbarians who ply the Trackless Sea in longships with prows carved in the likeness of their draconic overlords. 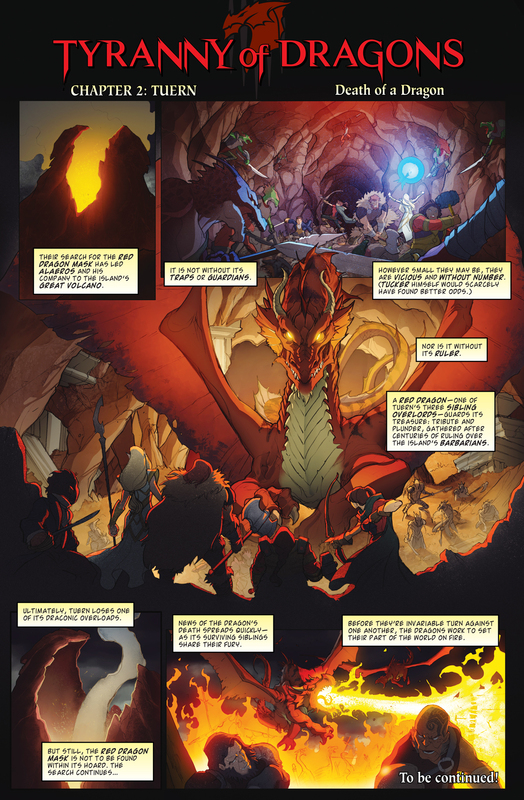 Alaeros leads his band of heroes against the Cult of the Dragons—seeking out the site of their excavation. A stone portal has been uncovered, leading to parts unknown. While a group of cultists have already gone through, our heroes follow close behind. Throughout Icewind Dale, its people are trapped and threatened by the most terrifying of all possible dangers—dragons! 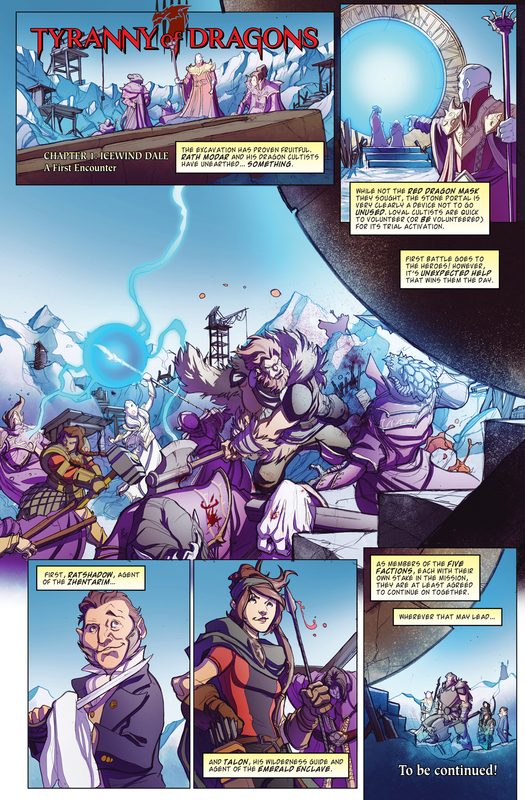 A group of heroes, assembled from the five factions, first learns of the true threat behind these draconic raids: the Cult of the Dragon, undertaking some unknown excavation.